As the season for reading is approaching, ‘The Piano’, located on a hill, is a perfect place to go on your day off. 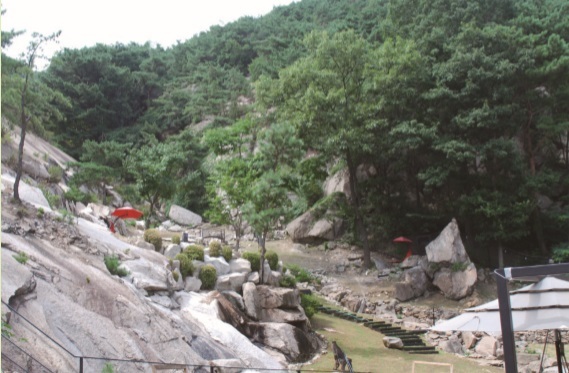 The café seats are mostly outdoors, where you can take in the view of the Bukhansan National Park and the sky. This café is well known for many photo shoots and as the background for many movies and dramas. So before visiting, always make sure to give the café a call to check if it is available for visit. The building itself can be an art piece as it is very unique. However, that is just the beginning. The real charm begins when you step inside the café, as ‘The Piano’ makes you wonder if you are actually in Seoul. Stay for a day off in a relaxing scenery with a nice breeze. 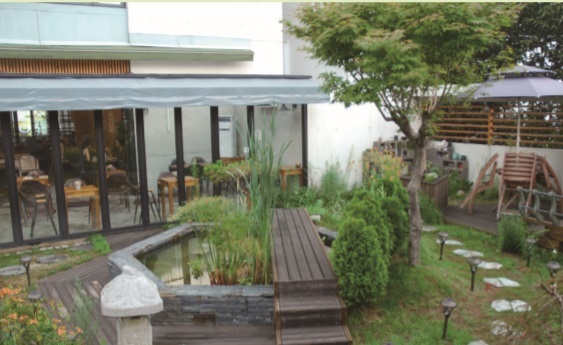 Located in Insadong where it is always bustling with both Koreans and foreigners, there is a garden hidden in a café. ‘Secret Garden’ is divided into three sections. The indoors, a terrace that is partially outside, and a secret garden. The garden’s decoration resembles an ancient Korean palace, which suits the various types of traditional tea served at the café. That is why you can enjoy the scent of jujube tea, chrysanthemum tea, and quince tea while having a talk with your companion or while reading a book. 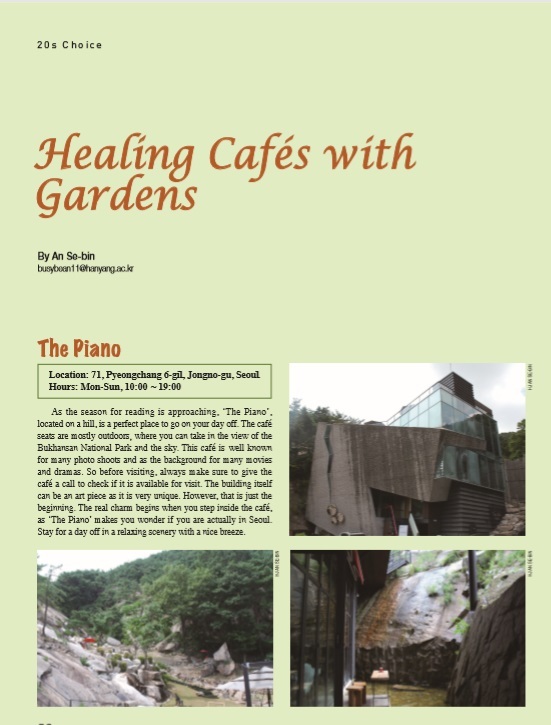 Close to Hanyang University, there is a café concealed amongst the trees. When you walk across a short passageway directed only by a tiny sign that has ‘Prunus Garden’ written on it, you will come across a garden with a pond and cute decorations. As the café has big windows, you will feel like you are sitting outside with the trees although you are actually in a cozy indoor space. 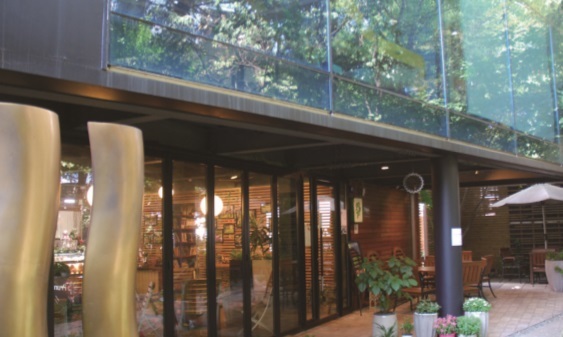 This café is operated by a landscape facility company, Yekun. As this company believes in a design that coexists with nature, it surely gives the café a comfortable and natural look.